The What's On In Health? online calendar, from the Department of Health provides a month-by-month guide to health events and initiatives in Western Australia. 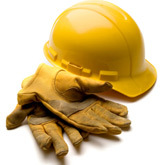 Physical safety involves work environments, equipment and practices which may expose participants to potential hazards. There are special risks associated with working in isolation from other persons because of time, location or nature of work. This is due to the lack of immediate assistance in the event of an accident or sudden illness. This guidance particularly applies to employees and students whilst performing after hours work on University premises. It is the responsibility of Schools to assess and take appropriate action when there is potential for thermal discomfort. Problems should be anticipated and appropriate action taken before injury or illness occurs. The University undertakes injury management with employees following a compensable work-related injury, illness or disease or non-compensable injury, illness or disease. Ergonomics is the design of the working environment, to ensure the best use of an individual's capabilities. Training in ergonomics, computer workstation assessment and manual handling can be provided. Schools/sections must ensure that their staff, students and others driving their vehicles or operating vehicles on their behalf are competent to handle such vehicles. Vehicles must be selected and used only for the purposes intended. The University recognises that for those who are pregnant or breastfeeding, precautions in addition to normal safe work procedures and practices may be required. Manual handling of objects and people occurs in all workplaces and is one of the most costly and most common causes of injury. UWA operates under a set of guidelines that cover inspections, testing and monitoring requirements covered under occupational health and safety and other relevant legislation and standards for all UWA facilities. It is appropriate that people handling mail remain vigilant and cautious, but it should be remembered that most reports of suspicious packages are false alarms.